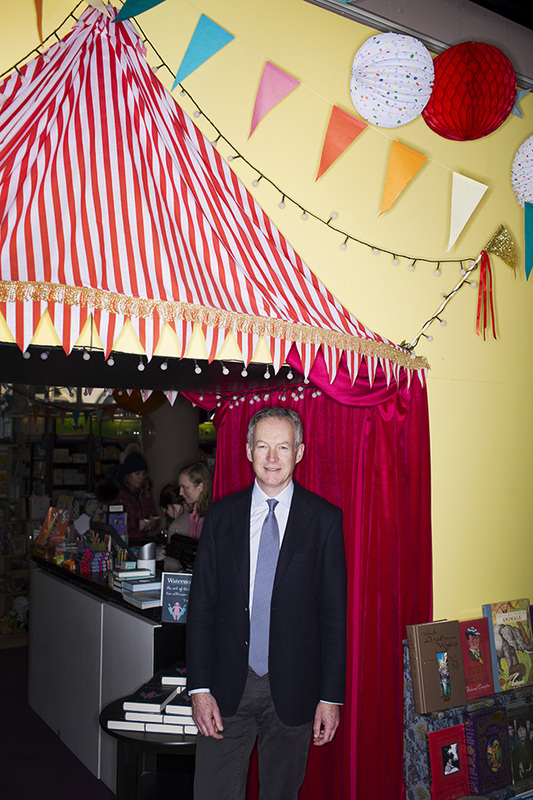 The chief exec of the UK's only national book chain has finally stemmed years of losses. So what's he going to do about his online rivals? The question everyone still wants answered is why? There you are, happily running a clutch of acclaimed, independent bookshops branded with your own name, making a decent profit, meeting interesting people, employing motivated staff, growing slowly at your own pace, which leaves you time for all the other important things in life, such as family and travel and reading and hobbies and fun, and you park all that on one side and take on a vast, broken business like Waterstones, with its millions of pounds of losses, its thousands of anxious employees and hundreds of muddled-up shops. And yet, had Waterstones, Britain's last national bookshop chain, closed in 2011 when it was, as Daunt puts it, 'a business that had fallen off a cliff', I would have thought it could only have benefited him. His eponymous business, six large, upmarket bookstores in swanky areas of London such as Marylebone, Chelsea, Hampstead and Holland Park, and a seventh, Owl Bookshop, in the more bohemian Kentish Town, would probably have doubled sales overnight. He could even have had a go at picking up a couple of prime Waterstones sites. Instead, he helped push forward a deal for Russian investor Alexander Mamut to buy the whole broken chain, and agreed to head it, at a time when high-street bookselling was being shredded by Amazon, the online Godzilla. Daunt, 51, with his clipped, well-spoken tones and narrowed eyes, is familiar with his script – probably because he has been answering the same question for four years, ever since he jumped into Waterstones, much to the amazement of retailers and publishers alike. This month, he says, the chain is finally approaching breakeven after years of red ink. Waterstones' losses, which stood at £23m on turnover of £398.5m-plus in the year to April 2013, will be zero for the year to April 2015 – though he won't publish the figures officially till next year. His job is half done. The Waterstones boss, wiry and angular, is certainly extraordinary, as unlike a cosy bookseller as you could meet. If you had told me he was the new head of a financial regulator or an earnest political wonk, I'd have believed you, barring the lack of a smart suit – he is wearing tie, brogues and grey rumpled chinos that are too short, and is already slightly peeved that the photographer has asked him to put on a jacket. But his rapid diction, ready wit, and occasional edge of impatience place him firmly in the Oxbridge elite that dominates politics, finance, newspapers and the BBC - it's just less often seen in retailing. Daunt, the son of a diplomat, worked for JP Morgan in New York for three years after leaving Cambridge University, before – as he tells it – his wife-to-be told him to chuck it in, as she had no desire to be married to an investment banker. You have to admire her style. So he sat down and looked at alternatives, decided his two interests were travel and reading, and settled on opening a large travel bookshop in London that would be a bit broader than travel and here we are, two and a half decades and seven Daunt Books later, sitting in the basement of Waterstones' flagship Piccadilly store discussing the trip. Daunt has wedged us around a tiny table in a vast admin space behind a blank door next to the mountaineering section in the big, old, dilapidated bookshop - it used to be Simpsons department store, built in 1935, now Grade I listed, and comes complete with travertine marble spiral staircase, wide windows running along every floor and very high upkeep costs. It also has a cafe in the basement regularly used as an MI5 haunt, according to the inquest into the polonium poisoning of Alexander Litvinenko. 'We think it's the biggest bookstore in Europe,' sighs Daunt. His team certainly claim it is on the sign as you walk in. The shop stretches over five floors, and teems with people on a cold winter Friday, even if the decor appears frayed at the edges. But bookstores don't need to be shiny smart. Even Daunt's own chain, epitomised by his first shop in Marylebone High Street with its parquet floors, old brown bookcases and galleried hall of book-stacked tables, is not sleek. It's friendly and knowledgeable, provoking customer interest with its country-themed shelves – and that people-smart approach is what counts, says Daunt. 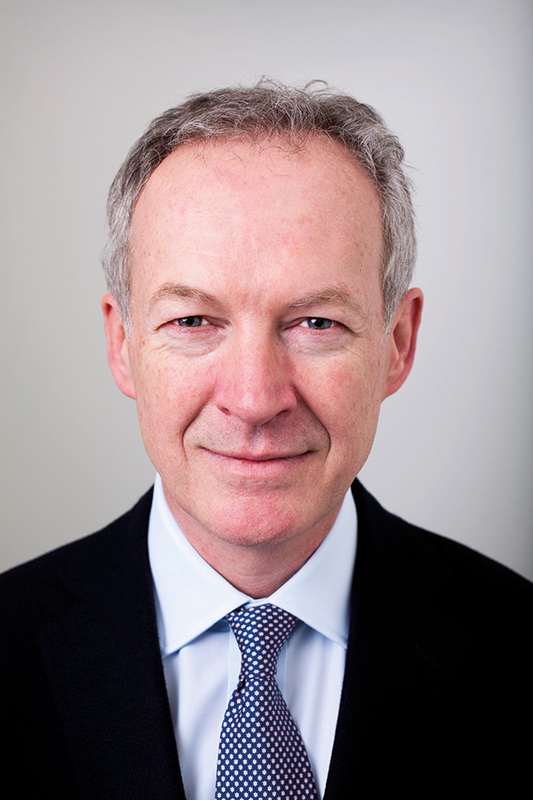 It also enabled him to step out of the chain so readily in May 2011 and become managing director of Waterstones, knowing he was leaving Daunt in capable hands. He says he only goes back to events – book readings or launches. He brought one member of staff with him. 'A friend,' he jokes, gesturing around, as if to indicate that otherwise he might have found Waterstones quite hostile. He insists there is not a conflict of interest, as his Daunt shops – which he and his wife, Katy, wholly own – appeal to a different breed of bibliophile. And yet for the past four years he has been trying to apply the same principles that worked so well on a small scale to a far broader operation. It hasn't been easy. He has laid off staff and closed underperforming shops and shifted Waterstones away from competing with mass-market sellers such as WH Smith and the supermarkets. And now he thinks he is getting there. So, sensitive question: do Waterstones' employees earn as much as Daunt's staff yet? He clears his throat and speaks almost in a whisper. That's an awkward honesty when the firm's highest paid director, presumably Daunt himself, earns £178,000 (company accounts, 2013), and his workforce start on the minimum wage – though they did receive a 6% bonus last year. But the best way to rectify the imbalance is, he says, to push the chain into profit and pay staff more. So he asks for their patience and forbearance. He has spent the past four years visiting the shops, plotting his changes, slowly trying to make the bureaucracy bend to his ideas. The whole culture of Waterstones, which he says had become too top-down, is now in flux. Local managers must make choices to suit local custom. They have abandoned uniforms, they can choose their own sales items to prioritise, and stock more non-book goods such as stationery. In other words they must curate, much as the staff in Daunt Books do, helping shoppers find interesting titles and avoid the obvious. 'I'm not interested in pulp,' says Daunt. Meaning? 'Romantic fiction, supermarket fodder.' He wants some of that approach in Waterstones to hook smarter buyers, while acknowledging it has to stock what sells well. It sounds like a nightmare to manage. Daunt lowers his tall forehead, tightening his smile as he talks. He is warmly charming but can be spikey, too, as when I ask why it took a Russian benefactor to save Britain's biggest bookstore chain. Who actually put that deal together? 'That's quite opaque,' he says, suddenly looking guarded. Meaning? 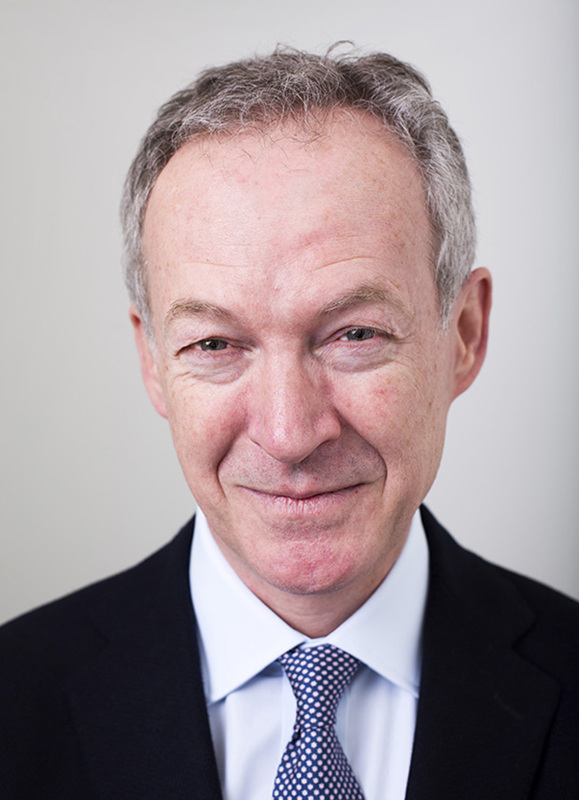 Other reports suggest the two were introduced by Lord Stevenson, former chairman of Pearson and HBOS. Daunt felt it was vital that Waterstones was saved, not least because he feared the logistics that got books to stores would disappear with the shops. Rivals such as Borders, Dillons, Books Etc, had all gone. Waterstones was the last high-street book chain standing and Mamut, who made his fortune in banking and had a track record of interest in the arts, was willing to invest. All of which has worked to our benefit. However, following Russia's involvement in Ukraine and European attempts to shackle President Putin's favourite oligarchs and the mistrust engendered by the Litvinenko inquest, you might wonder if Daunt was anxious about the implications for his Moscow-based owner? I thought I had read he was? So I should change the subject? He responds in capitals. The years of being answerable to no one have left their mark - Daunt is not a corporate smoothie adept at avoiding confrontation. But why should he be? His job is already tricky enough, especially in a sector that the internet has knocked sideways. Were the major publishers helpful in saving Waterstones? What does he mean by that? He doesn't elucidate beyond a backtracking 'I'm talking about fishermen obviously'. Perhaps he finds the posturing of publishers as exasperating as any sloppy journalism. At the root of it, of course, is everyone's relations with Amazon, the American online retailer that now ruthlessly undercuts British bookstores. Amazon demands and gets big discounts from publishers that have to maintain good relations with such a major seller. Daunt says he has no complaints about the great deals that Amazon offers to customers, but he wants the tax burden on shop-owners reduced so the playing field is levelled. The government and local councils must do more to support high-street retailing. Daunt in full flow is a passionate arguer, all the more forceful for his sibilant, softly spoken fury. There are holes in his arguments – bookstores use temporary staff, too, and why didn't Waterstones invest in online sooner? – but you sense it comes from the heart. Despite evident shyness, he has rarely ducked the press since he took the top job at Waterstones, always keen to explain what he is trying to do. He is noticeably less at ease trying to explain himself. So let's start. His father was British ambassador to Turkey, his mother a full-time ambassador's wife - organiser, supporter, delegator. Maybe organising is in his genes. But travel is clearly a family inclination. One younger sister now runs a travel firm, another lives in Italy. Maybe it is surprising that Daunt has stayed put for so long. His first job, after Sherborne boarding school and Cambridge, was in New York – which was one of the reasons he chose investment banking (the other was the salary). His bosses, he says, thought he was mad to leave but it did give him a good financial grounding. He raised the money to launch his first bookshop under the Business Expansion Scheme. His father put in £10,000. Daunt bought everyone out five years later. That first store, in London's Marylebone High Street, was the catalyst for transforming the whole neighbourhood into a chichi shopping area, he claims. That arrogance is characteristic of his driven self-belief. I am only asking as you would guess Daunt's background must have reassured Mamut, who paid £53m to buy Waterstones, and then more to support its annual losses. Yet surely two decades running a chain that grows to seven shops, 50 employees and £8m turnover barely prepares you for something 50 times bigger? One is an entrepreneurial, lifestyle job – the other a much more complicated, professional appointment. Perhaps Daunt simply needed a greater challenge. So, if not just books, what else can Waterstones sell? So far that seems to be stationery. More coffee? Two problems, says Daunt. Waterstones had already agreed concessions with different coffee firms, including Costa, Starbucks and Cafe Nero, 'because they know how to do it'. And training booksellers to make coffee was not thought to be sensible. However, since he took on the top job, Waterstones has opened its own coffee areas, under the Cafe W brand. Daunt is now interested in a more inclusive approach that spreads the coffee shop throughout the store, rather than hiving off a part of the space. He cites Waterstones' branch in Lewes, East Sussex. 'It's all books and tables and chairs, and I'm sure someone will bring your coffee to you. It works astonishingly well, maybe the odd book gets damaged, so perhaps the next person will get a very cheap book with rather a lot of coffee on it; people don't mind. It's all about atmosphere and being a really fun shop.' And fun shops breed repeat visits that breed repeat sales. But ebook downloads already take nearly a third of the market and Waterstones will not spend a lot online to make its own website more competitive because, says Daunt, its losses mean it must 'stick to its knitting'. So, given how radically the book market has changed, does he see yet more tech surprises coming? He doesn't care, as he believes 'the pleasures of the physical book' will keep customers hooked. Really? Surely competition for readers' attention can only ramp up? That's for certain, he agrees, but books will still be treasured. He even has his own publishing arm at Daunt Books, which prints around a dozen books a year, new titles, old titles, anything he fancies. Why? Staff motivation, of course. In other words, it's all about engaging the staff. And that's his schtick. It's already brought him a decent income (Daunt Books paid dividends of £348,000 in 2013), homes in Hampstead and Suffolk, a yen for collecting art – a comfortable life he has willingly parked to wrestle with Waterstones. The key is whether his approach will work when he doesn't know every employee by name. And off he strides to save the high-street bookstore for the nation. If he does succeed, it will be a singular achievement. Dixons Carphone's Sebastian James - Mastermind of a merger that worked?